Specific units of the Samsung Galaxy J7 Pro have recently encountered a critical problem, one that has not yet received an official solution. These devices have reportedly ended up with a completely unresponsive touchscreen, having restarted after installing the Android Oreo 8.1 update. Many users from various regions in the world have complained about the same in Samsung’s official forum, where moderators have suggested downgrading the version of Android to Nougat as a potential fix. As of now, it is unclear what the exact cause of the problem is. 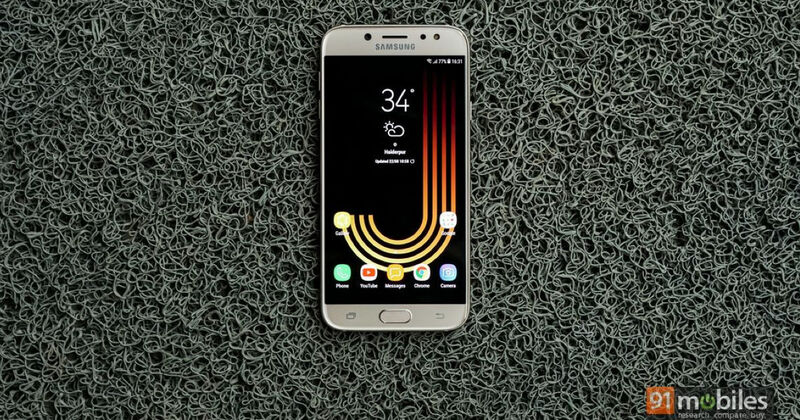 Not all units of the Samsung Galaxy J7 Pro (review) seem to have faced the issue, with Sammobile reporting that its unit of the said smartphone is working fine even after receiving the Android Oreo 8.1 update. This has led people to speculate that the problem may be occurring due to an issue with the display panel itself, sourced from a specific supplier. Units of the Galaxy J7 Pro bearing displays of the specific manufacturer are succumbing to the unresponsive touchscreen issue. It is common practice for companies to source components of the same smartphone model from multiple suppliers. Given the nature of manufacturing smartphones, and the wide range of standardised components that are being used by devices (especially in the mid- or budget-range), multiple suppliers often source components to supply chain manufacturers, and such a factor may be playing its part in this rather unforeseen issue. Samsung’s technical team is reportedly at work to find a fix to the solution, although no official update has been given by Samsung on this matter, as of now. The Samsung Galaxy J7 Pro was launched in mid-2017 in a wide range of markets, and is powered by the Exynos 7870 SoC. The device sports a 5.5-inch, Full HD display with a super AMOLED panel, and is further equipped with 3GB RAM, 32/64GB of storage, 13MP front and rear cameras, and a 3,600mAh battery. The Galaxy J7 Pro was slated to receive the Android Oreo upgrade from the start, although no one could have foreseen such a debilitating issue to have cropped up with it.